Apple Photo's Memories feature is pretty cool. It put together some photos from last year. Coca-cola apparently has three limited flavors of Diet Coke. I don’t normally drink Diet Coke, but the flavors sounded pretty good. Megan saw them at Target, so we are going to try them out. For a first novel by S.A. Chakraborty, this is a fantastic first entry to a trilogy. 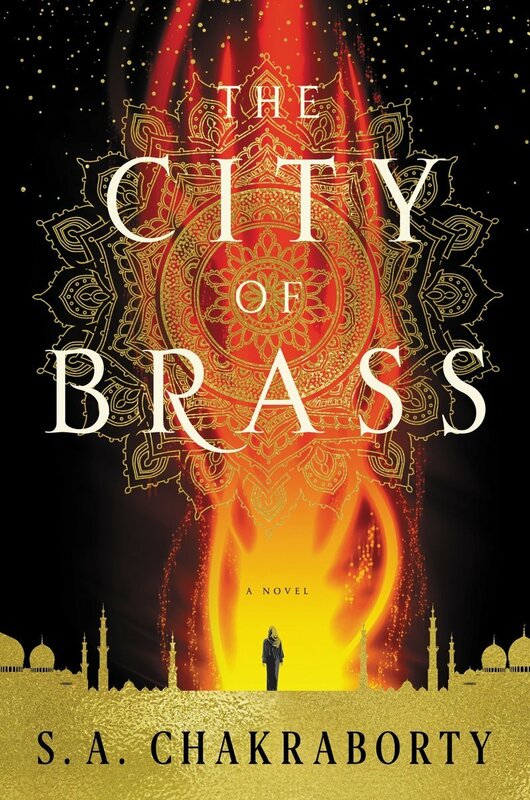 City of Brass has a wonderful world set around it. The middle eastern and Islamic setting is wonderfully done. It was exotic and new for a fantasy setting, but grounded in our own world, all while not making me feel like it was too alien to me. I was enthralled by the context of the deserts, the flying carpets, the Ifrit and more. I was perplexed though with the Djinn culture. At times it seemed wonderfully magical and exotic, at other times a bit too human. The call outs early on in the book to the morning prayers specially stuck out to me, mainly because we never did get a better understanding of what the Djinn religion was, why it mattered, or why Ali was considered devout. These things were all mentioned several times, but never explored, so they felt like they didn't really need to be there. Ali just as easily could have been chaste (which is alluded to) because he was the second born (again alluded to) as it had to due with his religious devotion. I felt Chakraborty, danced around the edges of all of these topics as justifications, but didn't explore any of them deep enough to have them mean anything. Chakraborty's characters overall I felt were pretty compelling, especially the king and the rest of the actors in the political court. The writing there to show how adept the king was at managing the political balance and teetering civil war was well done. Overall the supporting cast was fantastic. I had issues with the main three characters though. Nahri, Ali and Dara all frustrated me on how one dimensional their characters seemed to be, especially in light of more dynamic supporting characters around them who seemed to have more depth in their motivations and political acuity. All three main characters were "extremes", so harsh in their views and convictions that I felt them to be unbelievable. Nahri especially had several passages where her self-doubt and self-depreciation came to the point where I said "enough already, I get it". I understand the character has an internal struggle that she is dealing with, but Chakraborty kept driving the point home again and again that it began to detract from the overall story. The middle section was slow, mostly because of the aforementioned main characters issues I mentioned above. It felt even slower because none of them seemed to really grow or move at all. Nahri still doubted everything she was doing, Ali was still stubborn with his convictions, despite evidence against them and Dara was still an egotistical, angry, zealot, despite several attempts by the story to show interjections of them all breaking those molds. All three inevitably fell back, with almost no change or growth. The last arc of the book was nicely written. Pieces were set in motion for the upcoming sequel and there were several instances of surprise that genuinely put a smile on my face. Chakraborty did a delightful job in writing suspenseful action sequences and I am genuinely looking forward to the next book. I just hope I can read less of Nahri asking "What? I don't understand." about the events in the world happening around her. A bit less denial and more self-determination would be nice.